Jason Witten of the Dallas Cowboys has become the second tight end in NFL history with 1,000 catches, joining Tony Gonzalez. 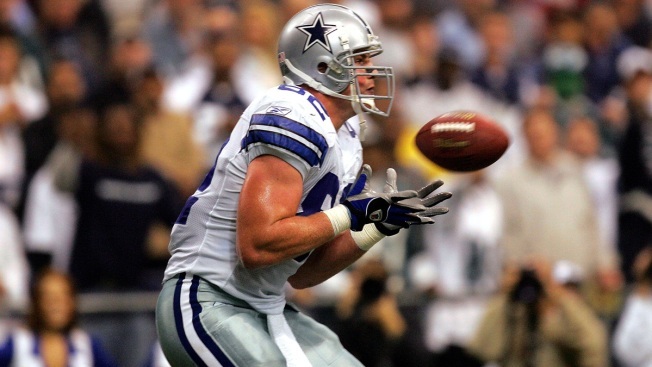 Witten's second catch for Dallas on Monday night against the Washington Redskins allowed him to reach the milestone. It was a 7-yard grab of a pass from Matt Cassel in the second quarter, resulting in a first down. Witten already was one of only two tight ends -- Gonzalez is the other -- with more than 10,000 yards receiving. Witten is in his 13th season, all with Dallas. He entered Monday with 998 catches and 11,010 yards. Gonzalez retired after the 2013 season, his 17th in the NFL, with 1,325 catches and 15,127 yards for Kansas City and Atlanta.